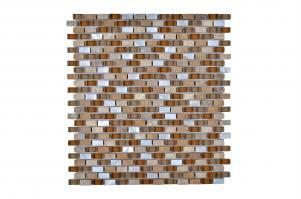 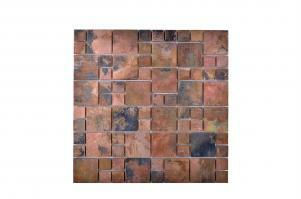 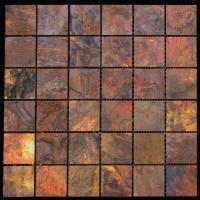 The beauty of the natural copper material creates amazing colors within this tile design. 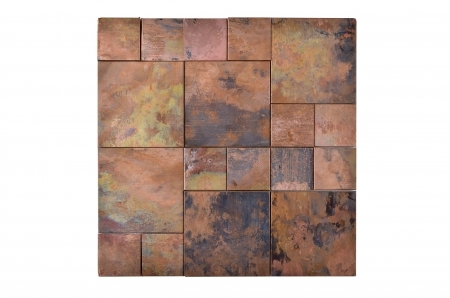 Made up of squares of different colors, this pattern will really make a stunning impact on the space where they are installed. 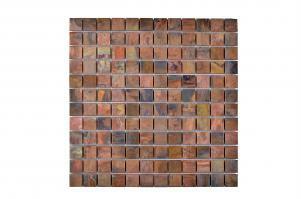 This is a very beautiful way to create a useful protection for walls in sink or cooking areas.